Dogecoin is a decentralized monetary system that enables the transfer of money online. It is a peer-to-peer system, derived from Litecoin that had been introduced in March 2013. 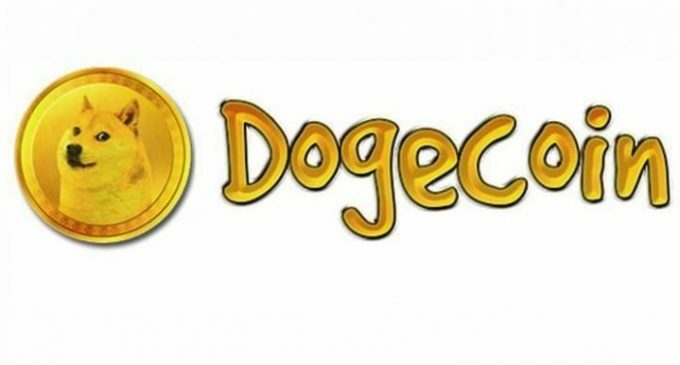 The name “Doge” comes from the fact that their seal is a dog, and the cryptocurrency had been many times called as a “funny alternative” to Bitcoin. Even though at this point in time it is not the most used cryptocurrency, it is among the first 10 and it is commonly used as tips over the internet. Usually, it is used as a reward by social media users for other users that offers interesting and remarkable content. It is a cryptocurrency with a market cap of over $1 billion and it is assumed to still have growth potential. Dogecoin is a cryptocurrency introduced by Billy Markus, a programmer from Portland, Oregon. Billy was a programmer and developed Dogecoin in 2013 as a cryptocurrency that could potentially reach a broader demographic than Bitcoin. It was originally seen as a “joke currency” and the reason for that is the Shiba Inu dog that can be found on the cryptocurrency logo. Following the release, Dogecoin developed tremendously and reached a market cap of 60 million US dollars in 2014. By December 2017 Dogecoin market cap had reached $1 billion and entered into the top ten cryptocurrencies on the planet. The community provides also, software solutions for online wallet, as there are a few wallet providers that currently support Dogecoin. Dogecoin is a cryptocurrency that solves one of the issues of Bitcoin and that is speed. The transfer time is under a minute, and in the case of Bitcoin, it is 10 minutes. For Litecoin it is currently at 2.5 minutes and you can see that Dogecoin has a slightly better advantage from that point of view. Also, supply is a strong issue when it comes to Bitcoin since only 21 million coins can be mines. When it comes to Dogecoin, the supply is far bigger. Initially, the maximum supply was 100 billion but the total amount had been mined since 2015. Every year since then a few extra billion coins are being mined. In terms of supply, the system is better than Bitcoin. Can you mine for Dogecoin? How is Dogecoin mined? Similar to Bitcoin and Litecoin, Dogecoin is one of the cryptocurrencies that can be mined. The Dogecoin algorithm runs on Scrypt, which we’ve described in other material as well. Because of that, the best way to mine for Dogecoin is with a GPU. The system uses a proof of work algorithm and that’s where the miners step in. There are many ways you can mine for Dogecoin: single or joining mining pools. You will first need a wallet that has support for Dogecoin before jumping in and start mining. After that, you will need the software that helps you to mine coins. For AMD card owners CGMiner is a good example and for Nvidia card owners cudaMiner is more suitable. Where can I buy Dogecoin? If you are one of those that do not want to get involved in the mining process and simply want to buy some Dogecoin, the safest place to do it is an exchange broker. There you can buy cryptocurrencies for cash or even exchange one currency to another. Two of the exchange brokers that currently have support for Dogecoin are Changelly and hitbtc.com. We’ve already reviewed them both in our crypto exchange brokers section. There you can find other reviews for exchange platform and by reading them you will be more informed about their activity. How can I sell my Dogecoin? If you are one of those that already own Dogecoin and want to sell them for cash, or for other cryptocurrencies, the exchange brokers are the safest places to do that as well. There are times when you need to cash out and you will definitely need to sell the coins for that. We’ve already mentioned Changelly and hitbtc.com, two of the exchange brokers included on our list that have support for Dogecoin. There you can change your Dogecoin for cash, US dollars or euro, or simply exchange them for other cryptocurrencies. Those two exchanges have support for a lot of different coins, so you definitely have a lot of options. Which Dogecoin wallet should I use? If you want to hold cryptocurrencies you will definitely need a wallet in order to store your private keys. When it comes to wallets, you have two big alternatives: a hardware wallet where you can store your coins offline, in a very safe place, or an online wallet, which is easier to use. Two of the hardware wallets that currently have support for Dogecoin are the Ledger Nano S and Trezor. Both wallets have already been reviewed on our website. You can find more information about other wallet providers as well in our crypto wallets section. If we talk about online wallets, Exodus and dogecoin.com offer some good services. There are some of you that do not want to get involved in this whole process of mining, wallets, and all the other stuff and that’s ok. But, you’ve also seen that cryptocurrencies are volatile instruments and you could profit from price fluctuations. Some online brokers have already included cryptocurrencies on their trading list. However, we haven’t found any that had included Dogecoin at the time of writing. If you still want to trade other cryptocurrencies, on our website you can find a page dedicated to cryptocurrency brokers, where we’ve written a few reviews.